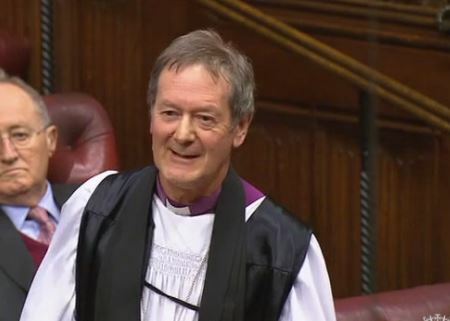 The Lord Bishop of Derby: My Lords, I thank the noble Lord, Lord Loomba, and congratulate him on the splendid work that his foundation does in targeting widows, who are some of the most vulnerable people. I also congratulate Oxfam on producing such a helpful report. Many noble Lords have spoken about the issues. I want to stress the fact that this is not just about inequality and discrimination; the report shows that they are both growing. That growth is the context in which we look at this debate. I will ask three brief questions about our approach. The Oxfam report rightly talks about the importance of companies. The Minister knows a great deal about my work on modern slavery, as we were partners on the Modern Slavery Act. As we know, given what is happening to companies in an age of tight margins, agency working—because you want a flexible workforce—and desperately vulnerable people needing work, it is very easy to exploit human beings. In fact, as modern slavery increases as a crime, so people become commodities in an economic process. That commodification of people is reinforcing the cultural commodification spoken about by the noble Baroness, Lady Hodgson, whereby women and girls especially are treated as bits of equipment—as cooks or those who run agriculture, or whatever their role is. There is an urgent need for companies and the consumers on whom they rely to raise important questions about the value of human beings, especially the neglected such as women and girls, and to push back against a force which is accelerating and which treats human beings who are vulnerable as commodities. The place of women and girls especially is being reinforced at the bottom of the chain—something that has been culturally true for so long. The Oxfam report also talks about the importance of government in creating a frame for taxation. One issue we have to face is that in our society, as in others, it is non-governmental actors who call the tune. In some countries, sadly, that is by military action, but multinational companies are also non-government actors that call the tune. But of course there is a noble and strong tradition—we need to bless and work with DfID on these things—of churches, faith groups and volunteers being non-state actors who can make a difference. In the diocese where I work in Derby, we have partnerships with churches in Calcutta and Delhi, for instance. At this very moment, we are working in partnership to create employment and education for women and girls because all the evidence shows, as I know from visiting these projects, that when you put the energy and wisdom of women and girls into the mix, things take off. That is often because the economy has been slow and leisurely, with its male-dominated kind of norms—so this is a very important thing. Good things can happen and are happening. I hope that the Government and DfID can recognise that non-state actors such as charities, churches and faith groups are already doing important work and can get under the radar of some of the problems with government policy and multinational behaviour. They can begin to empower people from the grass roots up—which is where women and girls make such a difference. My last point is one that I want to bring home much more to us in this Chamber, and to the people whom we serve in government. One key which the Oxfam report points to is taxation: that is, raising money for the common good. If we are honest, we all live in a culture where nobody wants to pay any tax. Governments get elected by promising the lowest taxation margin that they think they can get away with. There is an urgent need to help people understand that to be mature is to be a citizen who sees it as a joy and a privilege to pay tax into a common pool for a common life—one that will look out especially for the vulnerable, such as women and girls in our own culture, let alone in others. That common pool will create funds for us to invest in DfiD, in the United Nations and in the well-being of people in our own society. We have to speak up on this issue because if we take it as normative that nobody wants to pay tax and somebody else will pick up the bill, the inequality and discrimination that is increasing as we speak will just accelerate, along with the commodification of people. The small efforts of churches and faith groups will be less and less effective as the problem expands. So I would be interested if the Minister would comment on the possibility of appealing to people to be good citizens and to contribute gladly to a common good, especially for those who are vulnerable. … Success in a fast-changing world requires a mix of skills throughout a child’s learning cycle. The underprivileged children’s educational programme in Bangladesh gives four and a half years of education and business-related training to some of the neediest families in urban slums. Graduates are placed into employment or provided with loans to set up in small business, creating better lifetime opportunities and combating child labour. We work on modern slavery, and there is the important work that the right reverend Prelate the Bishop of Derby has done in that area. Combating modern slavery and trafficking is not only at the heart of our mission at DfID but also the Prime Minister’s passion, which she is following through across all government departments.